The greatest stroller in all the land is the one I drive! I love to eat plastic. Mom always worries about me choking on it, so she’s quick to throw it away in a covered trash can. But sometimes I find it before she can throw it away and I’ll start munching away. It’s not very nice when she tears it out of my mouth, but she does worry. She thinks I’ll choke on it. Well, low and behold, I started choking on dry cat food today. I was so scared, I started purring (for you humans, the purr is associated with any strong emotion, not just happiness). Mom learned a big lesson today. She had taken a pet first aid class taught by someone with the Red Cross, when she worked at an animal shelter. That was close to 10 years ago, and when she heard from my other ma that I was choking (mom was at school when I was choking), she wished she had kept up her certification in that. She realized just how important that class was and how important it is to know what to do for your kitties when they need your help. So, if you’ve never considered becoming certified in pet first aid, you should consider it now. You never know exactly when you might save the life of someone’s pet, whether it’s your own or someone else’s. You can sign up for classes by visiting the Red Cross website. 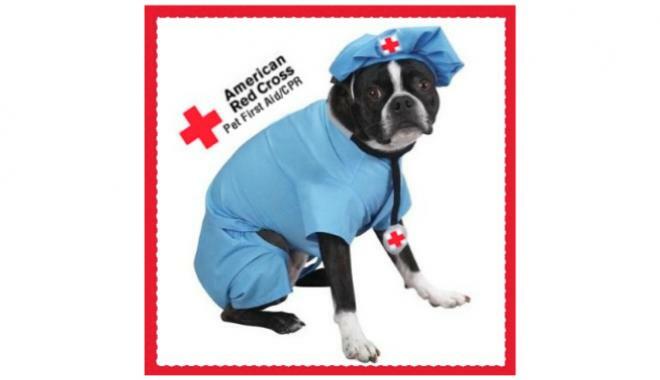 Do a search for pet first aid classes and register for one. I think it’s such a good idea, I’m purring about it. 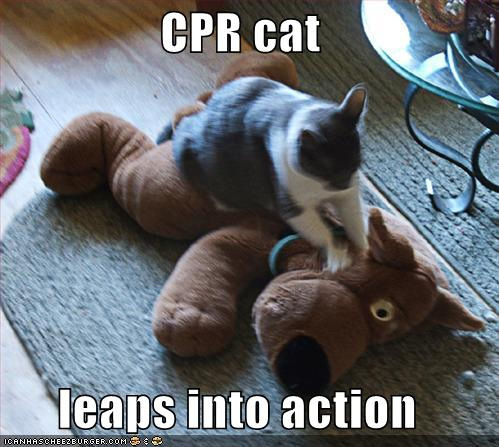 Because cpr cat isn’t always around to jump into action. Cat News, Read All About It!